Hi everyone! 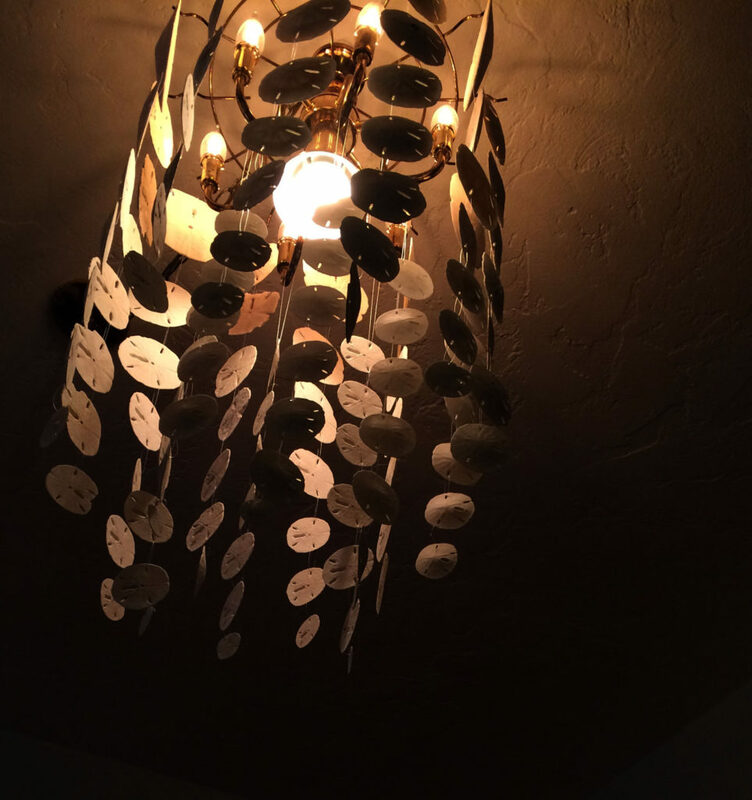 I posted pictures of my sand-dollar chandelier a long long time ago, so I wanted to give you the rundown on how I made it! It wasn’t hard at all. When we moved into our ranch beach house, things were outdated. Budget constraints meant that I couldn’t replace everything all at once but It did mean that I could get creative! Please keep in mind that my chandelier was an 80’s style ugly thing, so I simply took the glass off! Sand-dollars are light and not very heavy so I wasn’t worried about the additional weight, after all, it was less weight than the glass I had removed. 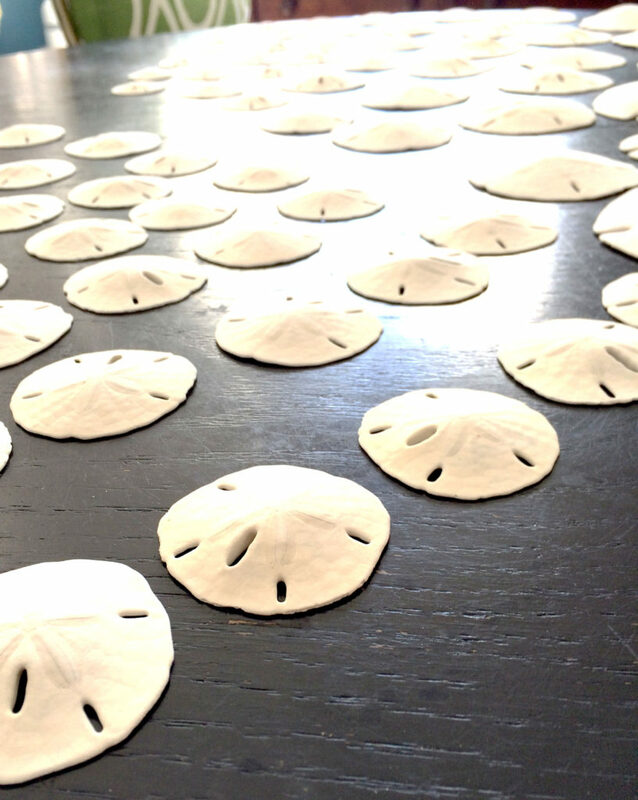 I used a variety of sand dollars, separating them in rows by size. I knew when it was hung, that I wanted the largest along the top and smallest at the bottom. Once they were in order by how many rows I wanted, by size, it was time to start practicing fishing knots. I used the same size string, about 3 inches long, to attach the sand dollars to one another, using the natural holes. I really recommend watching some “How To” videos on how to tie a good knot with finishing line. If your line is too thick (larger gauge), you won’t be able to get a nice size loop or knot. 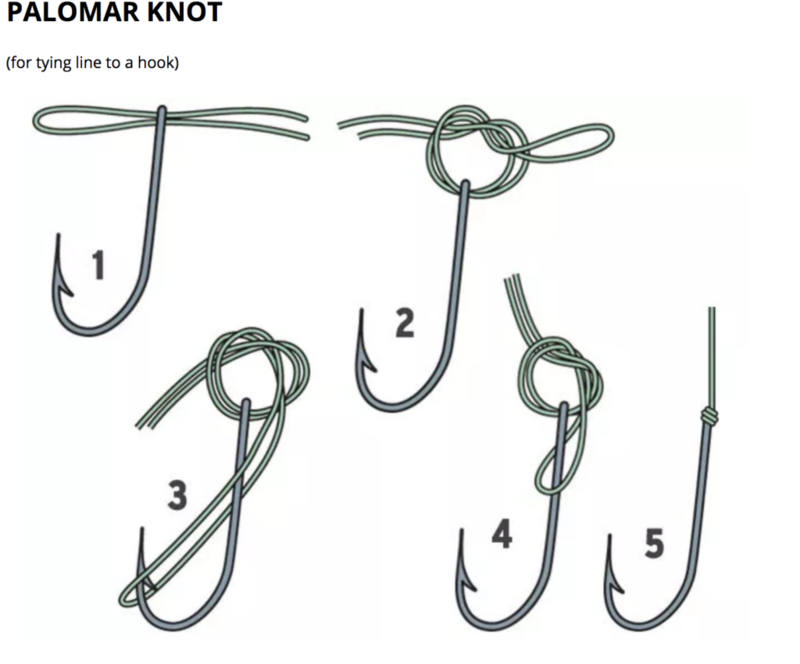 I used a knot like this; except where the fishing hook in the image is, we replaced the sand-dollar. 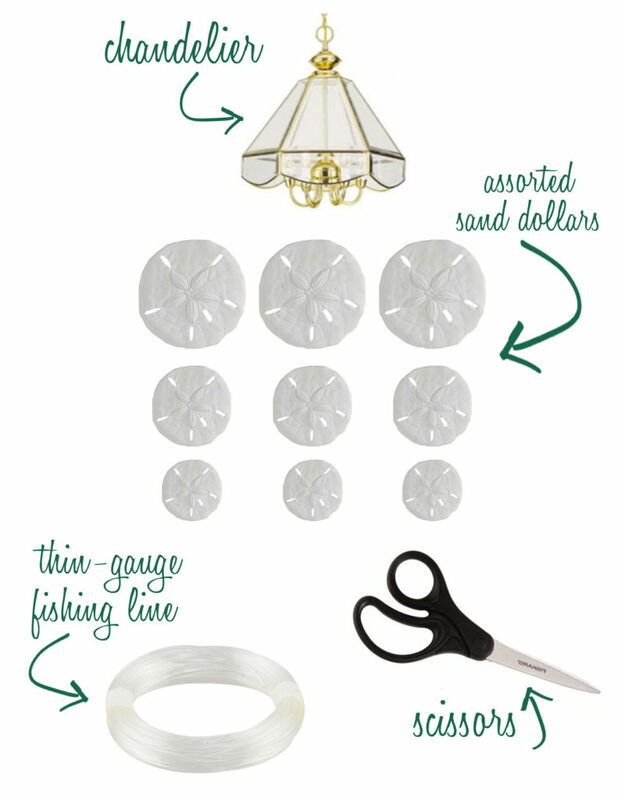 Attach the sand dollars one by one, until you get the desired length that you want! 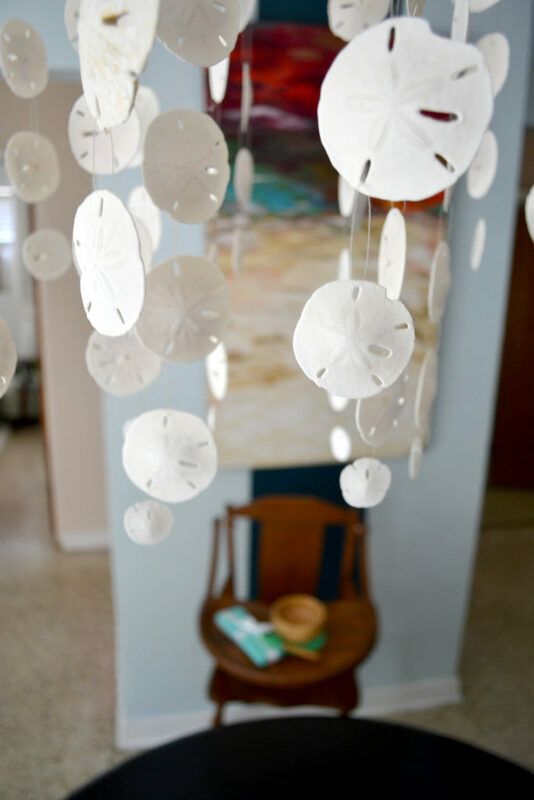 I then strung my long lines of sand-dollars to the chandelier, one-by-one, making sure they wouldn’t fall off. That is why practicing the knots are so important! Lastly, step back, make sure its even and enjoy! 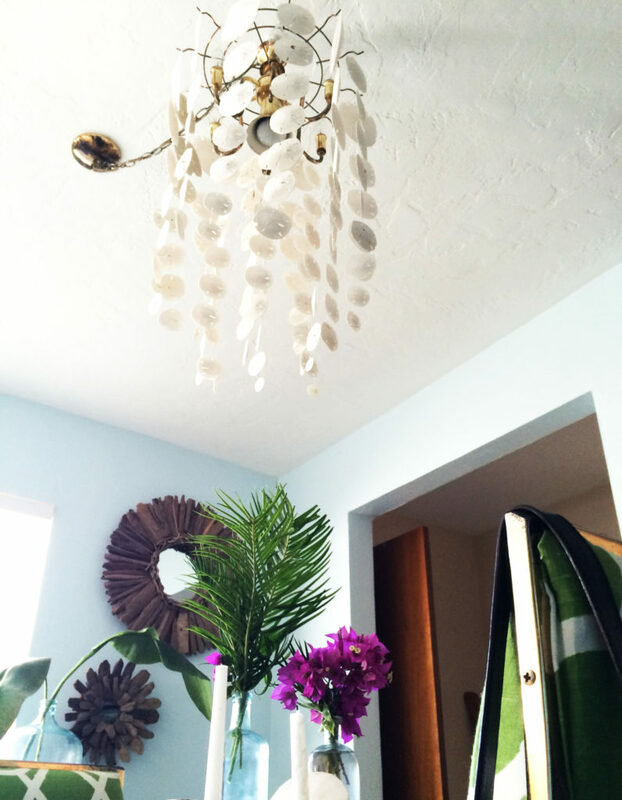 Remember things in nature aren’t always perfect so you don’t need to expect this chandelier to be either! Itsn’s it so neat to look at? I’ve decided I’m going to keep it until I either find or make something even better! Is there anything you like to make with natural materials? Do you have a simple DIY you’d like to share? Let us know in the comments! !